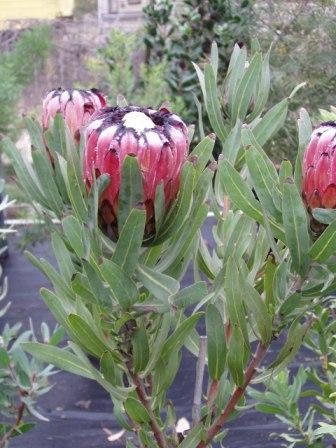 Protea nerifolia is one of the most commonly grown proteas in cultivation. The above form is grown by cut flower growers for its strong pink-red flower colour. A very hardy protea to frost and extended dry conditions. Excellent for coastal situations. Good cut flower and screen.